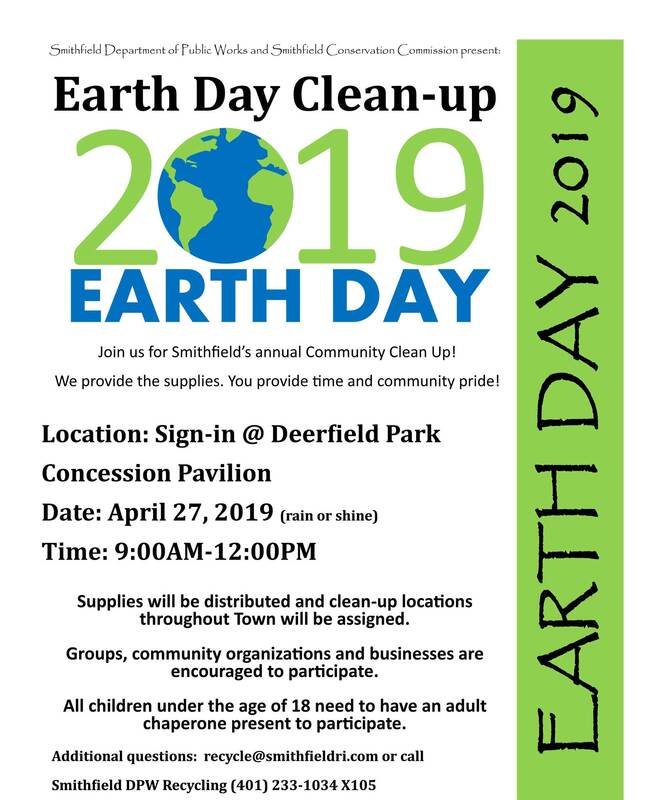 Welcome to the Town of Smithfield, Rhode Island and our website. 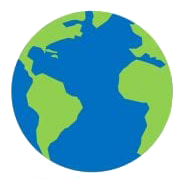 Our site is updated daily and we hope that you find it informative and helpful. 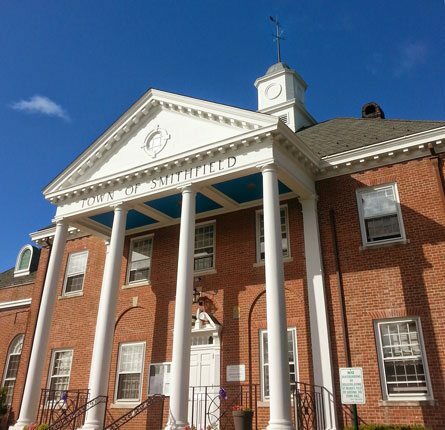 Smithfield Town Hall is open 8:30 am – 4:30 pm – Monday through Friday. Closed on holidays. Town Hall is located at 64 Farnum Pike, Smithfield, RI 02917. Call us at 401-233-1000. Items Too Big For Your Trash Bin? Bulky Items are no longer picked up with your regular trash collection. To schedule pickup of these items please use our online form or call 401-233-1034 ext. 105. Smithfield Town Hall will close at 12 noon on Friday, April 19th for Good Friday. Agendas and meeting dates are also available on the 2019 Meetings page.